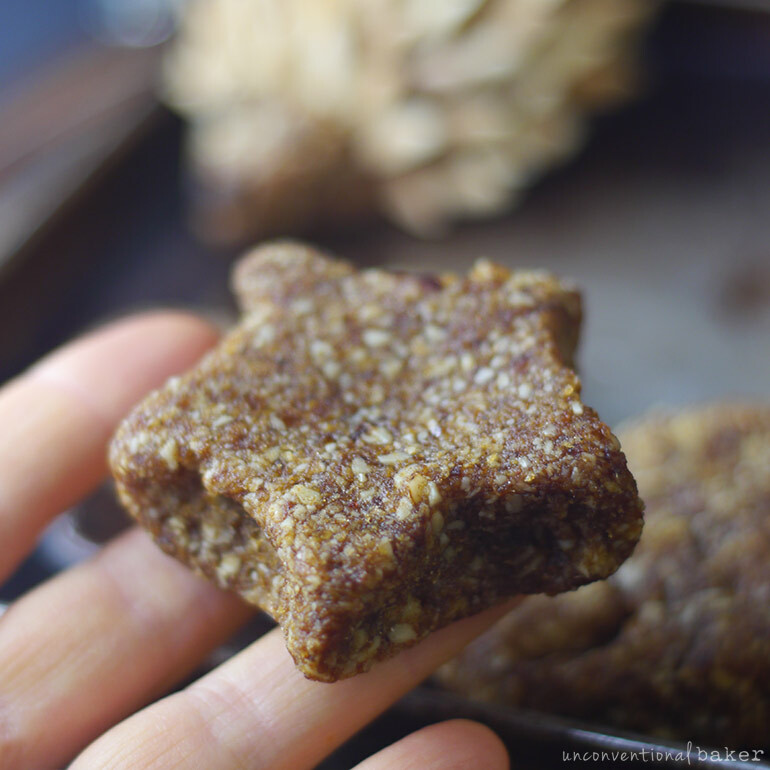 That is cookies that are a no-bake, fruit-sweetened, and most importantly amazing for tiny hands to make. 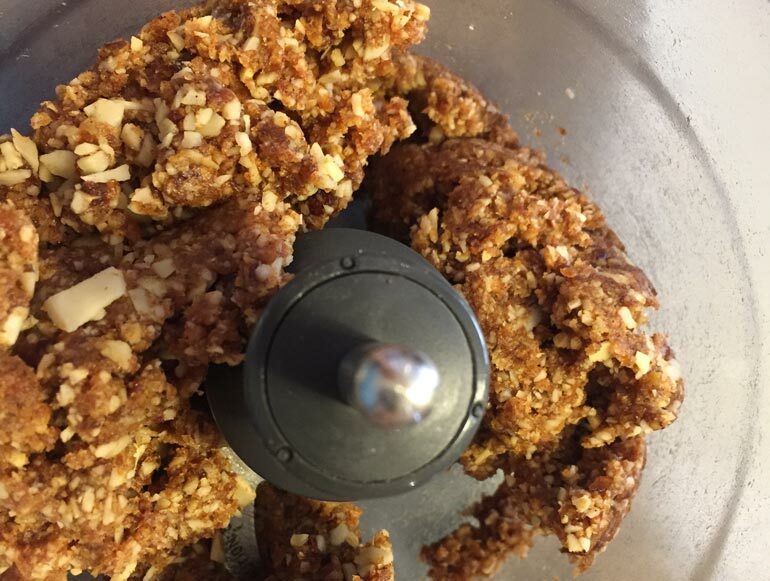 These no-bake cookies are really made from 2 main ingredients. 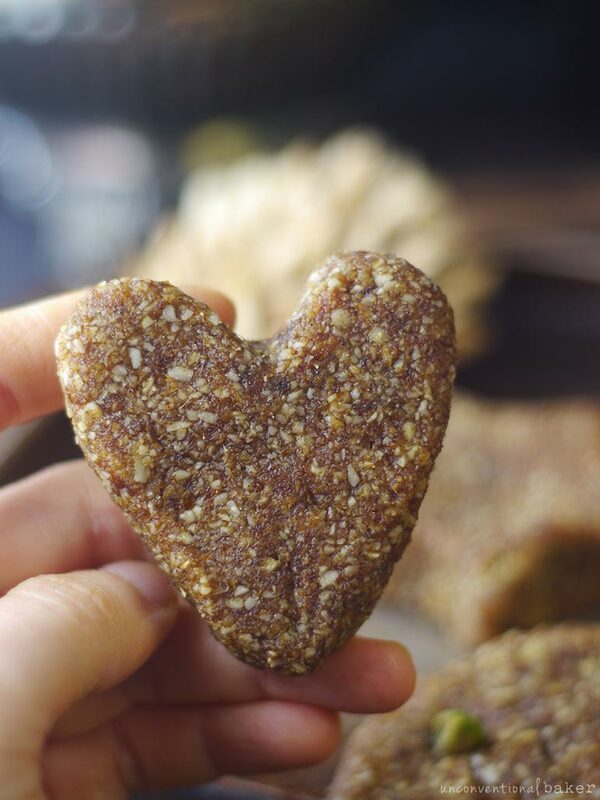 Dates and almonds (or thick toasted coconut chips for a nut-free option — see recipe notes), but these two main ingredients seem to lead to infinite possibilities in terms of cookie outcome. The resulting “dough” is something like edible play dough, ready to be molded into a multitude of shapes and creatures. They’re a wonderful creative outlet, suitable for different ages and skill levels. You can shape with these, do some light sculpting, or just roll them into a ball (or flatten into discs) and enjoy. The end result is pretty tasty, of course — can’t go wrong with dates and nuts, but for me the process of making these has been a lot of fun. And somehow strangely therapeutic. I got started with the hedgehogs idea but then switched at random to hearts, and stars, other animal faces, and even a random fish (don’t ask! haha). I kept these designs intentionally kid-friendly, inspired by a certain play dough-loving girl I’ve been hanging around a lot lately. Somehow the act of shaping, reshaping, and creating with her hands all day seemed like such an enjoyable activity for her. 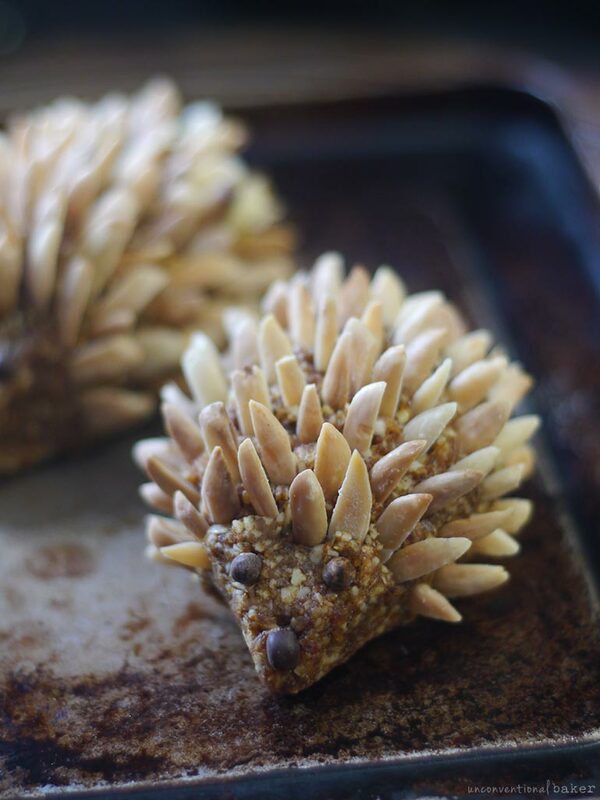 You can decorate these so many ways by using various nuts, seeds, cacao nibs, etc. You can use sliced almonds for scales or ears, slivered almonds for spikes, pistachios for large eyes (like in the fish), etc. 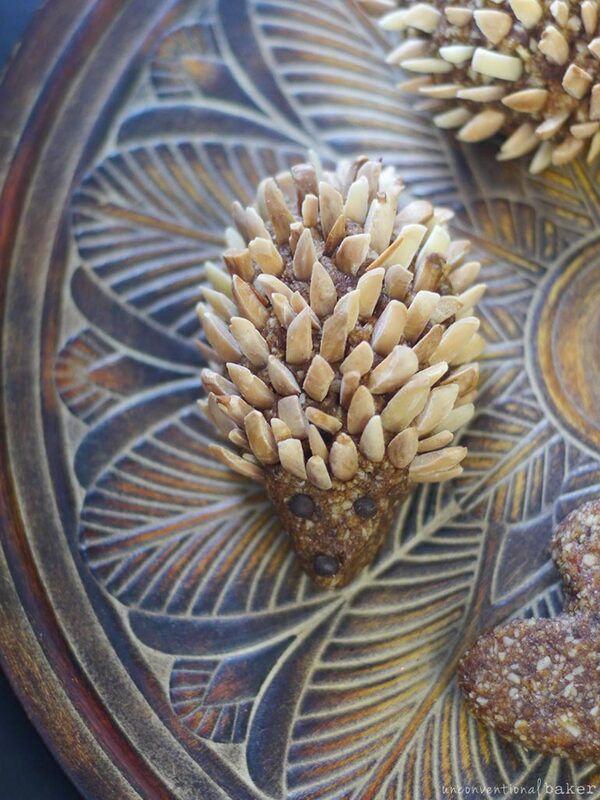 You can press in with the nuts and seeds to create patterns (for example the fish’s mouth above was done by pressing in half an almond, but that could also make for pretty scales, etc.). You can use cacao nibs or smaller pieces of nuts or seeds for eyes, noses, and so on. 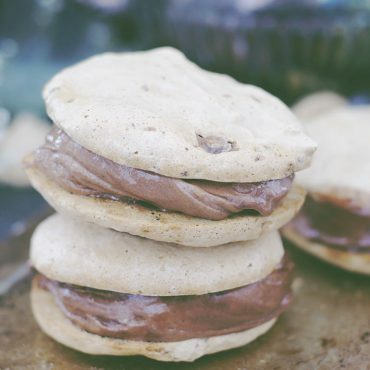 Or you can switch to other looks, by sprinkling the cookies with powdered coconut milk for a snowy effect, or by dipping parts of them in some melted chocolate, drizzling with chocolate, frosting, etc. The snowy cookies were hands down my favorite. 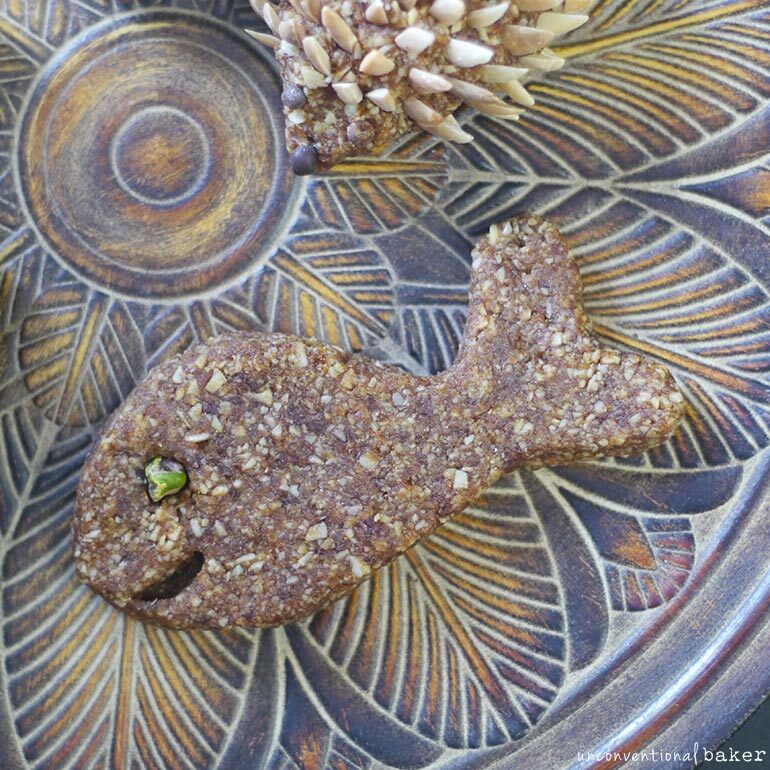 Bottom line is there’s a lot of room in this recipe for having creative fun with little ones. 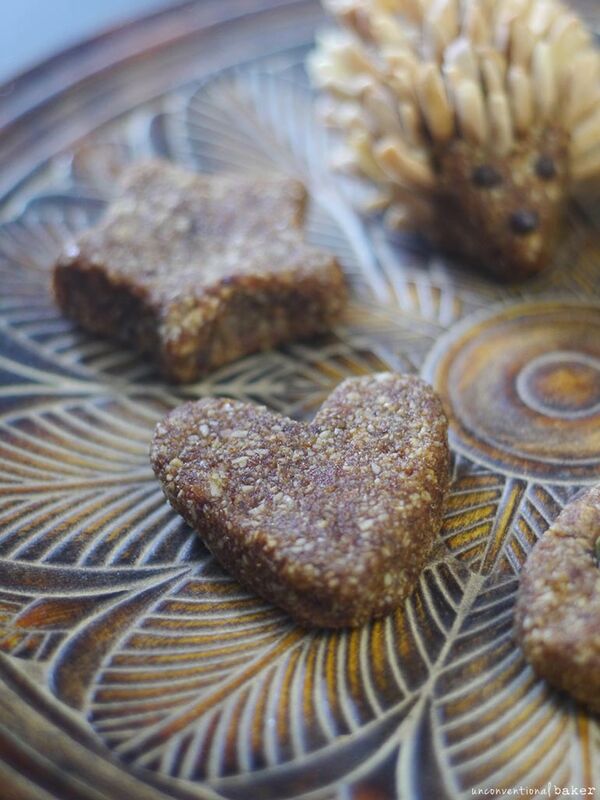 A fun and creative no-bake cookie recipe made with only 2 main ingredients: dates and almonds. This recipe is vegan, gluten-free and grain-free, fruit-sweetened, and can be made raw and nut-free. cacao nibs or chocolate covered amaranth balls for eyes, noses, etc. 2. Divide the mixture evenly into 4 – 6 parts (depending on your intended cookie size) and lump into balls. From there shape cookies into desired shapes and decorate with any desired toppings (except for the coconut milk powder for dusting — hold off on sprinkling that on until closer to serving****). 3. Let the cookies rest in the fridge on a tray / plate for 30 mins and enjoy! 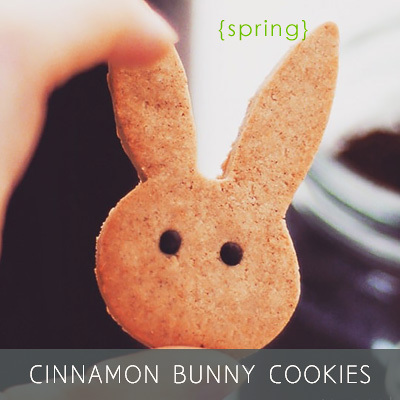 Keep leftover cookies refrigerated. *Honey dates have a particular sweet and slightly gritty texture to them, while still being soft and sticky, which is why I used them in this recipe. Other dates, like medjool, might be a bit too soft / pasty, or if too firm (like deglet nour), might not be sticky enough. If you use another kind of date you might therefore need to adjust the recipe slightly — i.e. if your mixture is too pasty / sticky, add more almonds or almond flour, or if too chunky and not moist enough add another tbsp of water (or more as needed) to get to the right texture. **For a nut-free alternative can use thick toasted coconut chips, like these. ***For the coconut milk powder, if using, be careful that the brand you purchase is actually dairy-free because some can contain dairy in addition to coconut. I linked in the ingredients list to a brand that’s vegan so you can see an example of what to look for. ****For sprinkling with the coconut powder, I recommend using a small sieve, like this one, to get an evenly distributed powdered look (and avoid clumping). Coconut milk powder will keep its pretty powdery look for some time, but will eventually dissolve due to the moisture in the cookies. That is why I recommend dusting the cookies closer to serving time, and after the cookies rest in the fridge, to ensure they keep that pretty powdery look about them for your guests. Disclaimer: this recipe contains affiliate links to blanched sliced almonds, raw ground vanilla bean, coconut milk powder, coconut chips, food processor, and sieve. Hi Audrey, with our Indian holiday, Diwali coming up, this recipe is perfect for me to turn it into mithai. 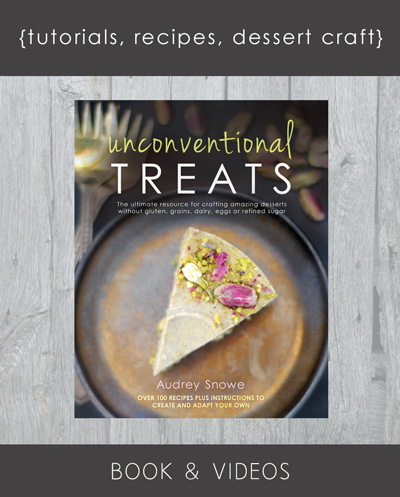 Audrey from unconventional baker to the rescue!!! If you’ve ever had indian deserts, you’ll know that they’re all milk and sugar based. 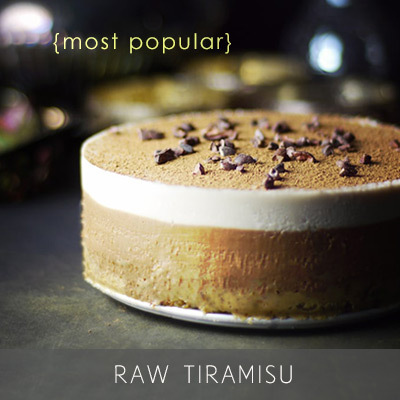 I was looking for a recipe that is refined sugar free, I knew I could turn to you. This is perfect! It’s also a bonus that its also dairy free. My question is can i use blanched almond flour instead? Do you think it would be the same, 1 cup? Also, where can i get honey dates? Can you send me a link? Hi Soni. So happy this recipe can work. I think these would work great for Diwali! 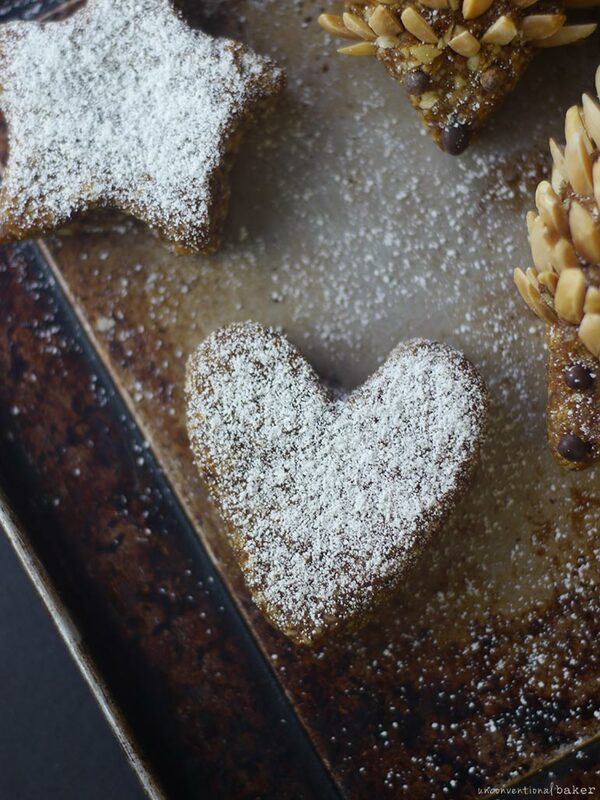 So the sliced almonds in this give the cookies a bit of a firmer texture (since they don’t grind down quite as fine as almond flour), that said almond flour can still work. Just thinking it through, the recipe uses 1 cup of sliced almonds, which is 83 grams roughly. So the equivalent of that in almond flour would be just under 1 cup (as 1 cup is 96 grams, so you’d need about .86 of a cup). 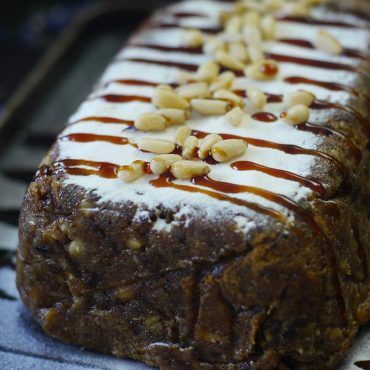 You might need to add a bit more of it if the mixture seems a bit too sticky, or a bit more dates if it gets a bit too crumbly / firm. As for the honey dates, I can buy them at the store locally sometimes, but you can also order them online — I just added a link to the recipe for them as well. The other thing is that you can also use another type of soft sweet date, like Medjool, or Bhari dates, etc. I just preferred honey dates for the reasons I mentioned above. 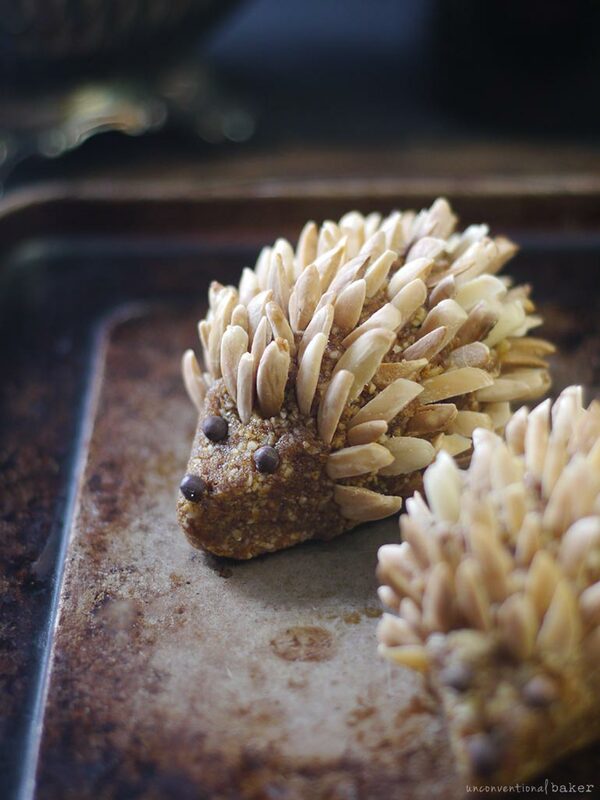 Oh my gosh, I did NOT expect a hedgehog-shaped cookie! They are so so cute! 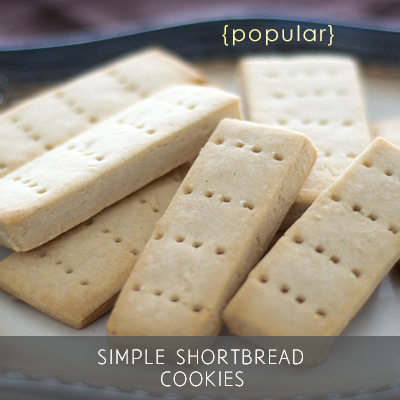 This is such an amazing cookie recipe that you can use for almost anything. It might even work as a pie crust! Delicious! I love this playful take on date rolls!